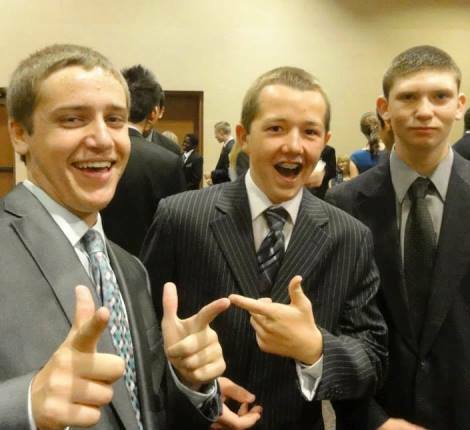 Cotillion teaches and encourages respect in all social settings. Themed events let students get creative! Learn while watching and practicing, with leaders guiding the way. 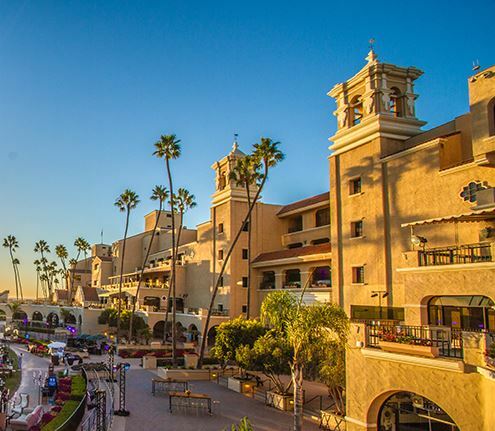 Dances are located at the beautiful Del Mar Fairground's Mission Tower. The Patronesses of the San Dieguito Cotillion are pleased to welcome you to San Diego’s most enduring dancing and etiquette program. 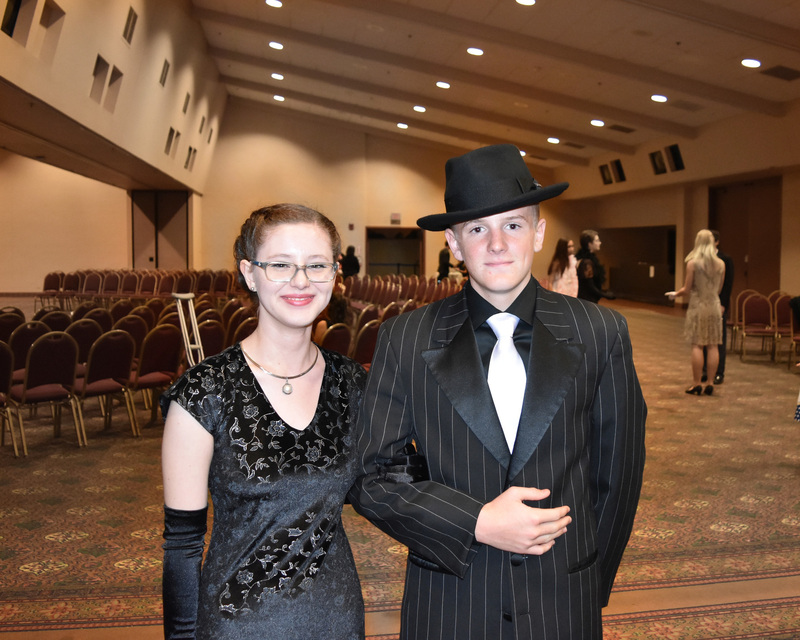 Since 1955, the San Dieguito Cotillion has been teaching children between 5th and 12th grade. This is a multi-year program to educate children into self-confident, respectful and poised adults. At cotillion, young ladies and gentlemen learn valuable skills that will enhance their everyday lives and give them the ability to carry themselves with grace and dignity across a dance floor and in formal and informal social settings. Children are enrolled from all over San Diego County with classes held conveniently at the Del Mar Fairgrounds. Please feel free to visit the CONTACT US page to request an invitation or register for a cotillion season. 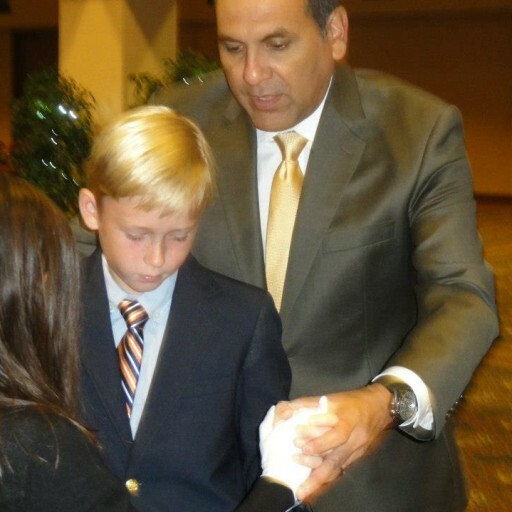 Click the following link to learn the proper way to shake someone’s hand: A proper handshake. Please join us for the “America the Beautiful” class on March 2, 2019! 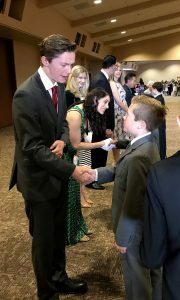 Important: Please be aware that registration for the 2019/2020 San Dieguito Cotillion Season 65 will be conducted between June 1, 2019 and August 31, 2019. This represents an important change from prior years. Parents will have three months to complete registrations for their children, and by August 31, 2019 all registrations must be complete. In June, please check your email for your child’s invitation to Season 65 of the San Dieguito Cotillion. Important! Occasionally, important emails are directed to SPAM folders. If you don’t see your child’s invitation email in a few days then check your SPAM folder. You may also want to add CMSREGISTRATIONS.COM to your Safe Senders list. © 2017 San Dieguto Cotillion. All rights reserved.